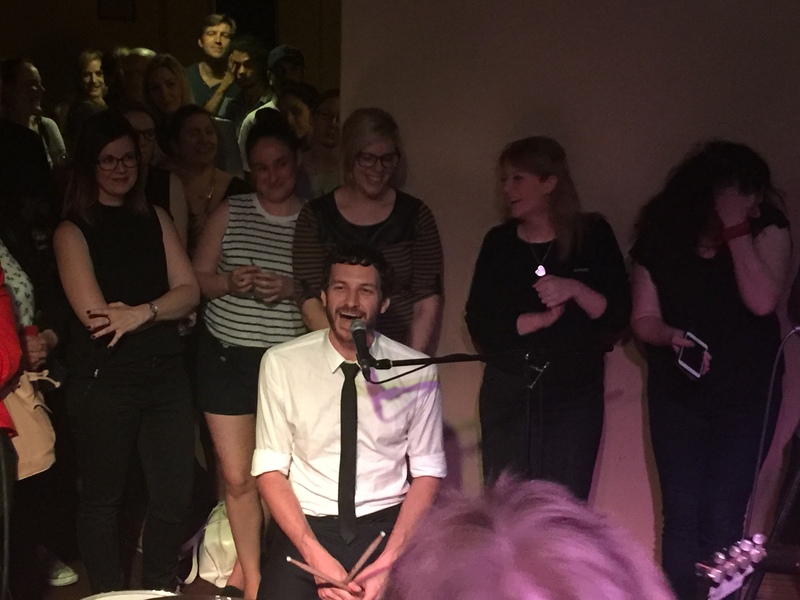 The Basics lived up to their name in a stripped down, intimate gig at the Grace Emily on Tuesday night; it was a thrilling, no-frills display of honest rock’n’roll. 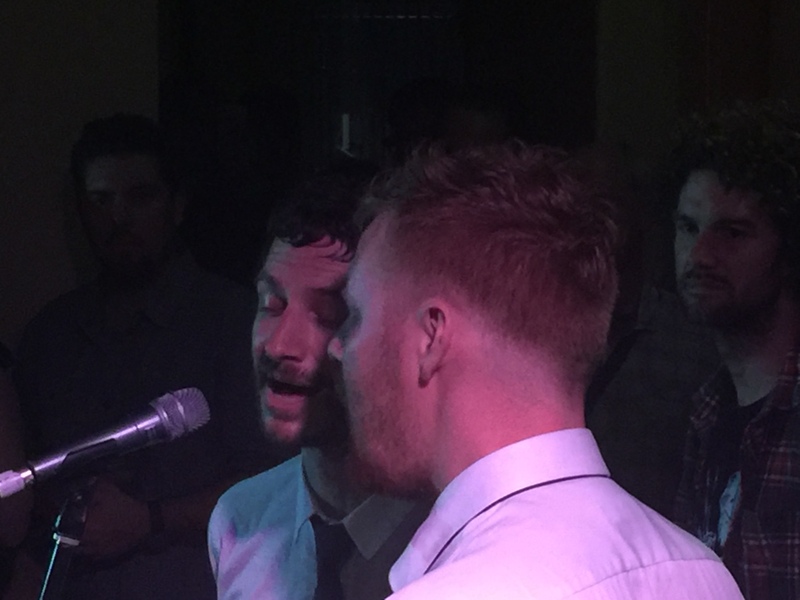 Eschewing the standard dynamic between performer and audience, the three-piece played facing each other in the middle of the room, encircled by the crowd. The set up was modest: compact amps, just a few essential pedals and a minimalist drum kit (no toms aside from the floor tom). 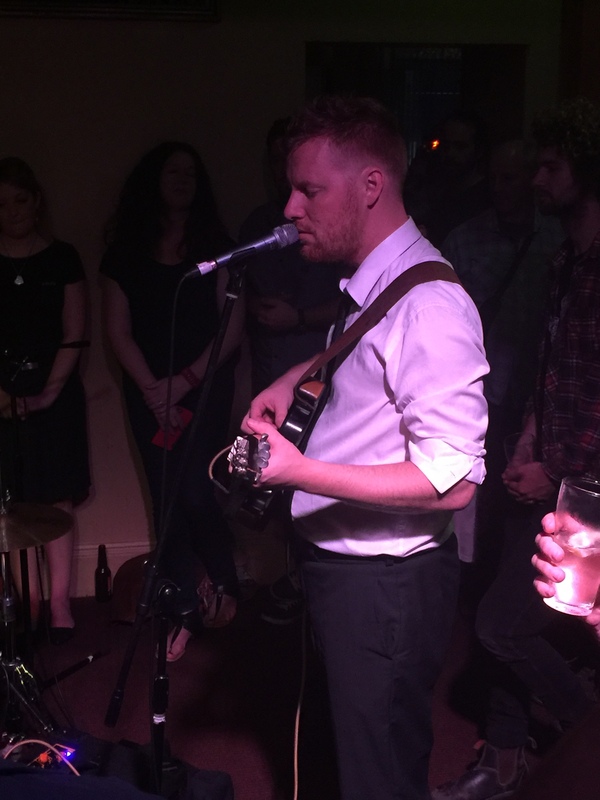 Combined with the homely charm of the Grace, this felt like a gig in your lounge room – except that instead of your mates knocking out some dodgy covers, you were being treated to one of the best bands in the country (who just happen to have a three time Grammy winner on the kit). Facing inwards, Kris Schroeder, Wally De Backer and Tim Heath took cues from each other, playing loose and with an air of spontaneity; indeed at times, this did feel like watching a jam. The cosy tone was set from the start of the night by support act, Nancy Bates, who sang solo with only her guitar for backing. She is a performer of great warmth and good humour, offering up charming songs about love, loss and her indigenous culture. She rounded off her short set with a sing-a-long of John Denver’s ‘Country Road’, the audience taking to the chorus with gusto (even when mixing up the words). The Basics began with ‘Whatever Happened to the Working Class?’, the opening track from current release, The Age of Entitlement; the simplicity of the arrangement suited the intimacy of the gig, making a feature of the band’s superb harmonies. The performance may have been personable and informal, but that’s not to say it was in any way sedate, and when they launched in the upbeat ‘Roundabout’ and the African rhythms of ‘Tunaomba Saidia’, energy levels surged in the crowded band room. For a group that’s been around for more than a decade, it was surprising that the extensive back-catalogue barely featured, aside from a few numbers towards the end of the set. This was, however, very much to the advantage of the show, which was all about The Age of Entitlement, a highly accomplished record that really stood up live. It’s really quite refreshing for a band to have such confidence in their new material, while leaving past glories to the side. As you’d expect from The Basics there were also some wonderful cover versions, the trio tackling an eclectic range of artists that reflects their genuine love of music: The Everly Brothers, Roy Orbison, Split Enz, David Bowie and The Beatles all got a run. The show had a number of turns, delivering moments of humour, emotional honesty and political critique, all punctuated with playful banter from the three performers. In a set up that’s so simple and honest, there can be no hiding behind any pyrotechnics, and there’s really only one reason this was such a great gig: bloody good music played very, very well. Posted in Music, Reviews and tagged Age of Entitlement, Gotye, Grace Emily, Kris Schroeder, Live music, Nancy Bates, The Basics, Wally De Backer. Bookmark the permalink.